The Polliwogs Grand Event of The Year – Halloween Bash 2018! Role Playing Adventure, Interactive Shows and Games all rolled into one Halloween BIG PARTY! Plot Summary: The Legendary Candy Rain! Rumor has is that it happens once every year in Spook-tacular Town on Halloween! This year, Larry and the Children are going to find out for themselves! Upon a visit to the Wizard’s Lab however, the gang are disappointed to learn that he has run out of the ingredients needed to cast the Spell! The only way solution – venture deep into Haunted Locations of the Town and acquire them! Can Larry and the Children make Candy Rain in Spook-tacular Town? 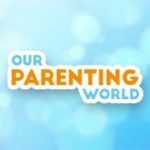 Interactive Shows! Meet The Polliwogains and other Spooky Characters from Spook-tacular Town! 4 Fiendish Locations! Dr Puzz’s Labs, Skeleton Theater, The Haunted Carnival and The Monster Lair! Role Playing Adventure! Tasks and challenges awaits the children at every turn! Live Monster Hunt! Where children get to chase a silly Monster for clues! Trick and Treat Bag for collection of all kinds of goodies! What are you waiting for, reserve your slots now to take on the Halloween Bash on 26th – 27th October 2018! Good News! Giveaway and Promo Code Alert! 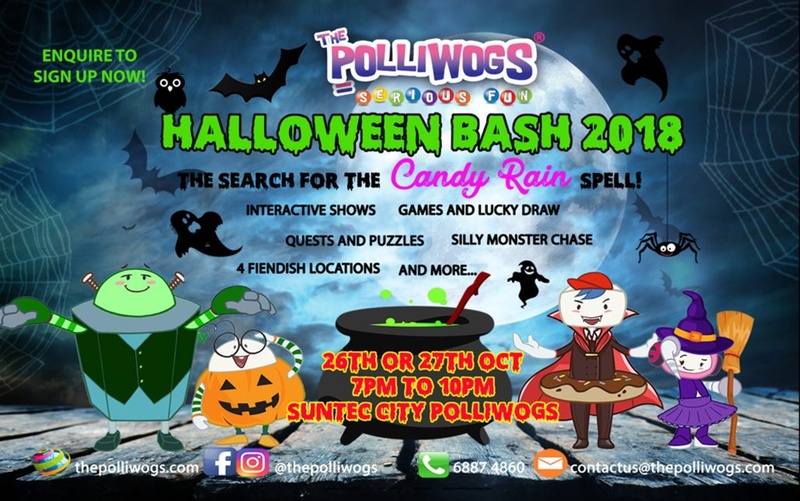 Thanks to The Polliwogs, we are giving away 1x FREE event ticket giveaway (worth $89.00) for 1 lucky reader for you to bring your child to The Polliwogs Grand Event of The Year – Halloween Bash 2018 on 26th October 2018 at 7pm onwards and have a fun-filled night! * Please set your profile to public, indicate your Instagram handle at the Facebook Comment Post and please check that all the steps are entered correctly to be eligible for the giveaway. Hurry, giveaway will close on 24 October at 23:59Hr. Winner, please kindly respond within 24 hours after the winner’s announcement or your ticket will be forfeited.